CMI, Inc., located in Owensboro, Kentucky is a leading manufacturer of breath alcohol testing instruments in the U.S., Canada, and around the world. CMI manufactures the Intoxilyzer® brand of breath alcohol instrumentation. The Intoxilyzer® 500, approved for preliminary breath testing in Pennsylvania, is the latest model in CMI’s line of breath alcohol instruments. At only 4¾” high x 2½” wide x 1¼” deep, the Intoxilyzer® 500 is small, easy to use and offers multiple testing modes to meet all of your testing needs. 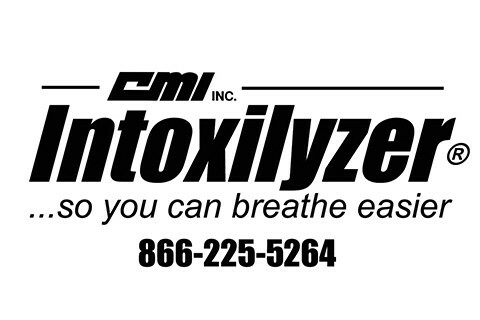 The Intoxilyzer® 9000, also manufactured by CMI, Inc., is approved for evidential breath testing in Pennsylvania. The Intoxilyzer 9000 reigns as the most modern infrared-based breath alcohol instrument in the evidential marketplace.